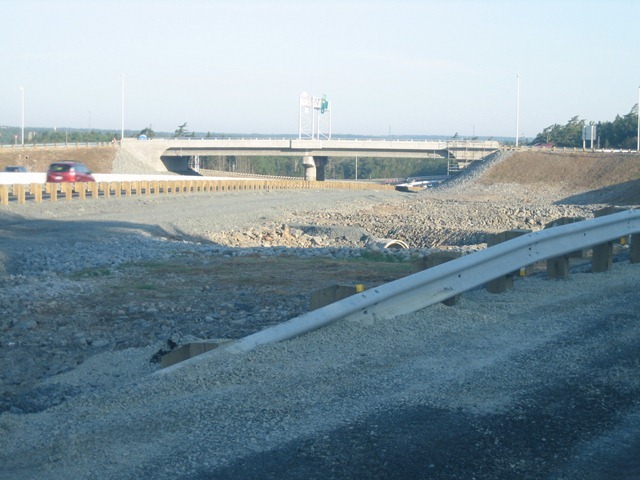 The Larry Uteck Interchange is a two span, 65 m long, semi-continuous, pre-cast, prestressed concrete structure supported on semi-integral abutments founded on spread footings and a central hammer head style pier supported on a spread footing founded on bedrock. 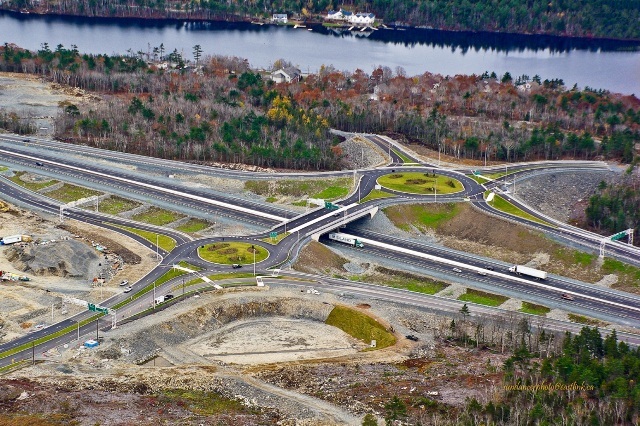 Harbourside Engineering Consultants provided the structural bridge design services for this project, and worked closely with every member of the design consulting team so as to ensure an efficient, fully integrated effort from all team members. The scope of work for Harbourside Engineering Consultants included: overall planning and preliminary design of the bridge, the detailed design of the bridge structure, retaining walls as required and full structural drafting. A preliminary design report detailing 3 fully developed structural options complete with capital cost estimates and a final recommendation was provided to NSTIR. 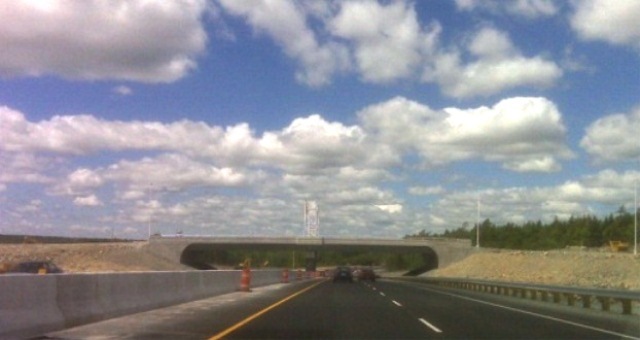 Construction was completed in the summer of 2010.